Let’s face it. If 10 Mallorca experts should provide a list of the best beaches in Mallorca, these lists would be very different. Mallorca has so many beaches, each of them amazing in their own way. Child-friendly beaches, romantic beaches, remote natural beaches or vibrant town beaches. 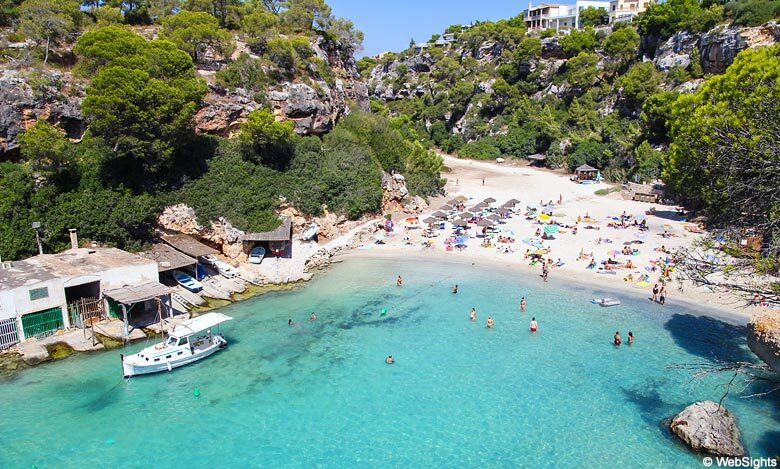 Here is our idea of the 10 best beaches in Mallorca. 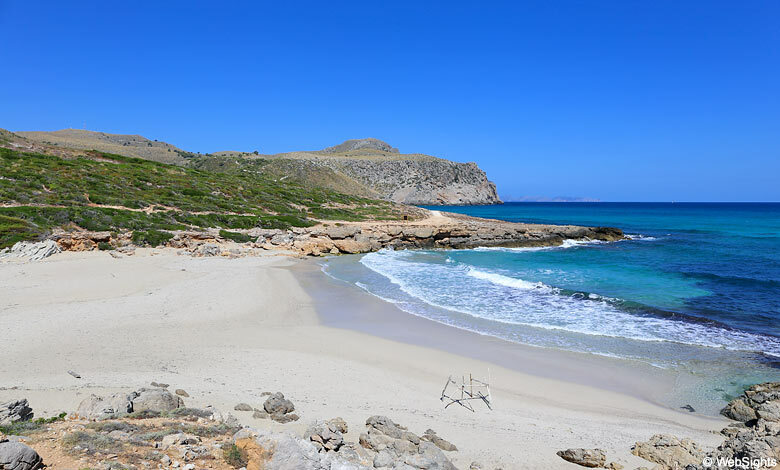 S’Aramador has previously been elected best beach in Europe in a big European vote. A great natural beach located in the nature reserve Cala Mondrago in the south-eastern part of Mallorca. The large sand beach is well protected inside a beautiful bay and the shallow water is very child-friendly. 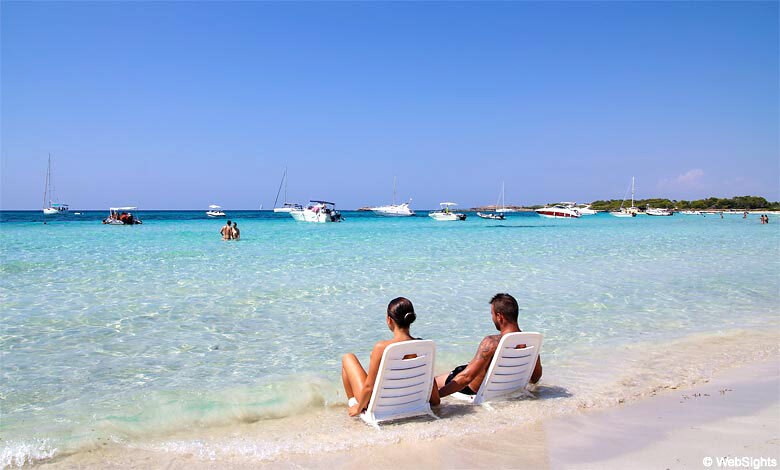 It is hard to ignore the natural beach Es Trenc, which is the most popular beach in Mallorca. A long sand beach with fine-grained, bright sand and dunes behind the beach. The water has the most beautiful turquoise shades and makes Es Trenc seem almost tropical. There are a few beach cafés, but otherwise the entire area is preserved. Are you up for a beach with less tourists and willing to walk for about half an hour? 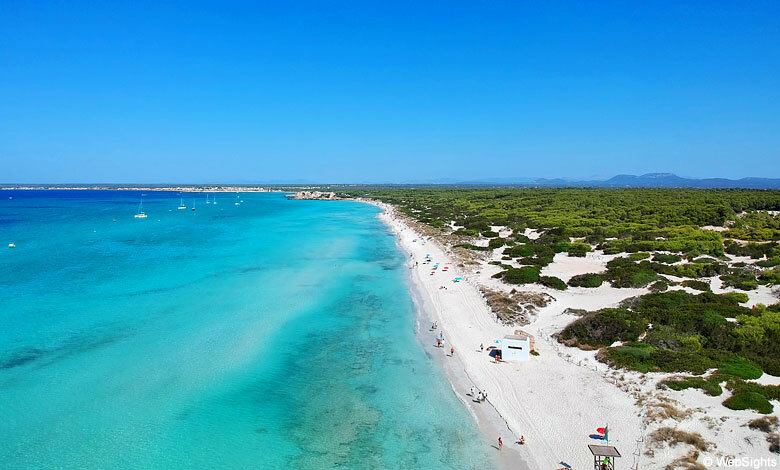 Then you should go to Platja des Caragol close to the most southern point of Mallorca, Cap de Ses Salines. The surroundings are breathtaking and the water is crystal clear. There are no facilities, so remember to bring food and plenty to drink. Playa d’Alcudia is a family paradise. A giant sand beach with plenty of room to play and the most child-friendly water, you can imagine. There are playgrounds at the beach, all water sports activities possible and many beach restaurants. It is very popular and well-visited, but there is also plenty of room. The Cala Mondrago beach is located in the national park with the same name. A beautiful natural resort, which is ideal for hiking – and a visit to the lovely beach, which is well protected far inside a rocky bay. The beach has bright, fine-grained sand and the visitors have access to the usual facilities including beach restaurants. There is a path to S’Aramador (number 1 in the list) in the next bay. This beach is the closest you get to a secret tip. From the parking space near the small beach Cala Estreta, there is an hour’s walk along the coast, but the experience is very rewarding. Cala sa font Celada is located in completely unspoiled surroundings and even during the high season, it is possible to have the beach all to yourself. It is hard to believe, but the above photo is from a hot and sunny day in July. 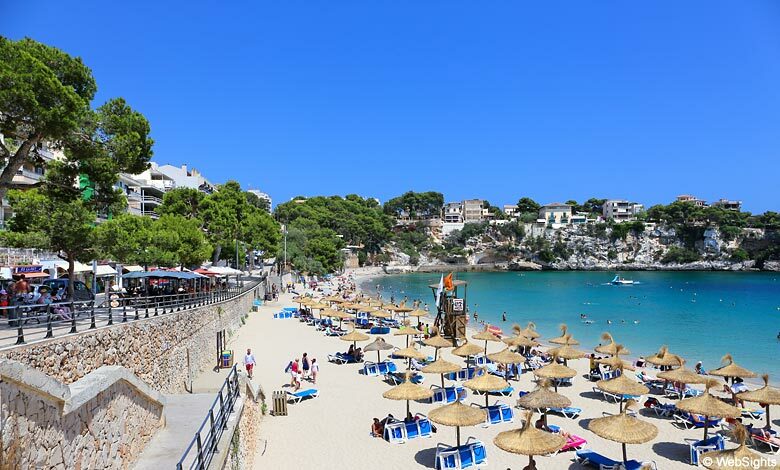 Cala Pi is a small, peaceful holiday resort in the southern part of Mallorca. The beach with the same name is located almost 400 metres inside a long, narrow rocky bay, which is the perfect place to take a long swim. The beach has lovely bright sand and shallow water with nice turquoise shades. Very child-friendly, but please note that there is a steep flight of stairs down to the beach. The setting for the natural beach Calo d’es Moro is a wonderful bay, which is very impressive with its rocks and almost turquoise water. No doubt one of the most beautiful beaches in Mallorca, but unfortunately, it is often too crowded during the high season. There are no facilities at the beach. If a town beach should slip into this Top 10, it must be Porto Cristo. The lovely sand beach is well protected inside a winding bay, and it has a great view of the mountains, harbour and town. The beach has all facilities and is very child-friendly. The beach is also a good starting point if you wish to see one of the greatest tourist attractions in Mallorca, Coves del Drac. Even though Cala Xinxell is located on the outskirts of the holiday resort Illetas, it is fairly unknown to most tourists. The beach is located in a wonderful bay, which is also a popular place for yachting enthusiasts. A nice beach bar offers a relaxed lounge feel, and the shallow water makes the beach very child-friendly. Many other beaches were considered for this Top 10, but sadly, there was no room for the nice beaches Cala Varques, Cala Mesquida, Cala Formentor or the most beautiful stone beach in Mallorca, Cala Deia.